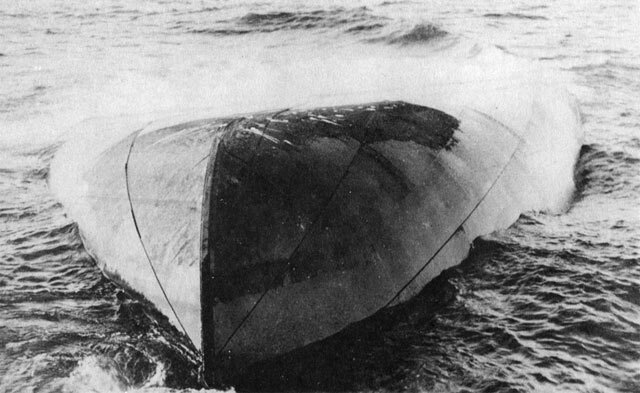 The Charles S Price capsized in Lake Huron. Known as the Mystery Ship until it could be identified. 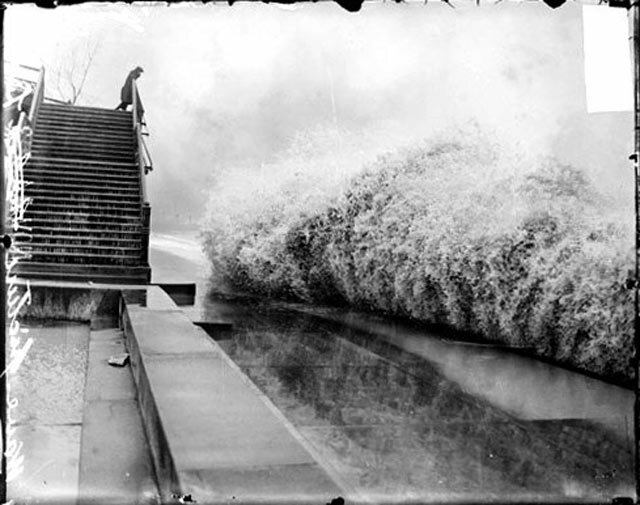 Waves crash along the Chicago shoreline during the storm. Cleveland had 22 inches of snow dumped during the storm. Life Saving Station at Point Aux Barques on Lake Huron was completely destroyed in the storm. 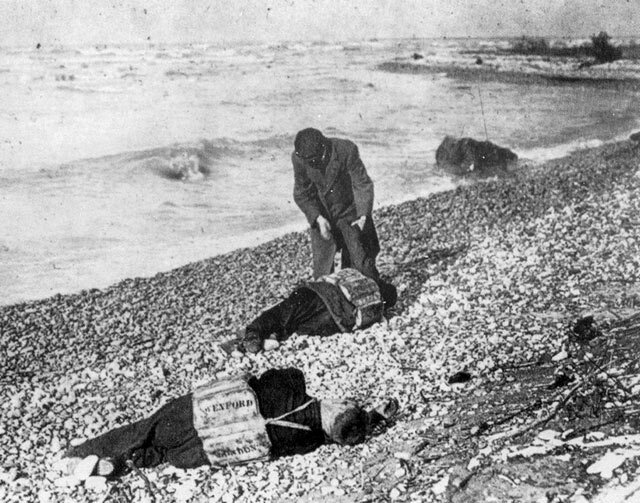 The crew of the Wexford were able to don life jackets, but perished before reaching shore on Lake Huron. 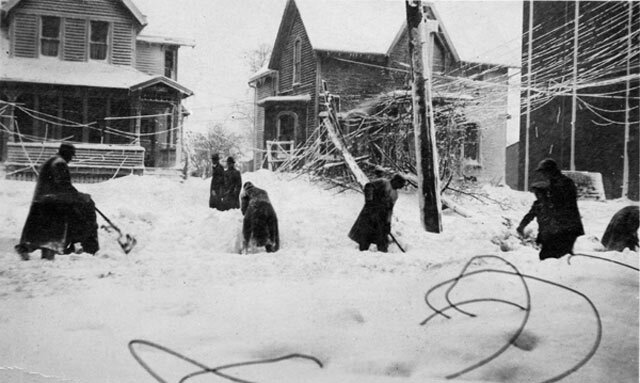 One hundred years ago, one of the ferocious storms struck the Great Lakes. Before radar or weather forecasts, vessel went out onto the lakes where two storms merged into a tempest. Between November 7th and 10th, 30 vessels stranded and 12 vessels were lost with all hands and over 250 total people lost their lives. Argus – Lake Huron with 28 lives lost. Charles S. Price – Lake Huron 28 lives lost. Henry B. Smith – Lake Superior with 25 lives lost. Hydrus – Lake Huron with 25 lives lost. Isaac M. Scott – Lake Huron with 28 lives lost. James Carruthers – Lake Huron with 22 lives lost. John A. McGean – Lake Huron with 28 lives lost. 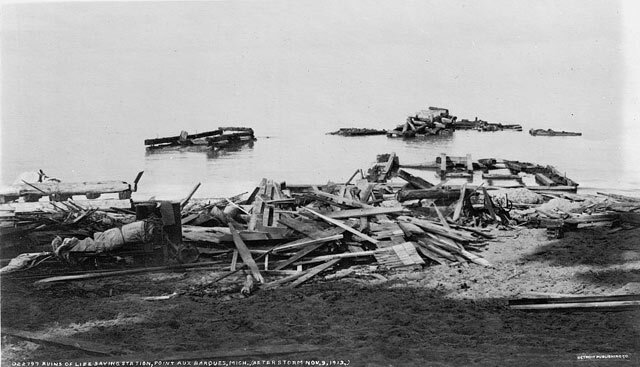 Leafield – Lake Superior with 18 lives lost. Lightship LV 82 – Lake Erie with 6 lives lost. Plymouth – Lake Michigan with 7 lives lost. Regina – Lake Huron with 20 lives lost. Wexford – Lake Huron with 20 lives lost.